An integral part of Bertelsmann’s vision is to make a valuable and lasting contribution to society. A key part of this goal are the corporate social responsibility (CSR) initiatives that Penguin Random House undertakes in each territory where it operates and through every company that comes under the Bertelsmann umbrella. In addition to our global commitments, Penguin Random House India have partnered with Save the Children India – an organization committed towards ensuring the ‘Rights of Children’. Here are some of the programs we proudly support. Promoting Early Childhood Education through Balwadis: Its mission is to provide early childhood care and education for all round development, including physical, social, emotional, cognitive, and language development, and to build a habit of attending school among children. 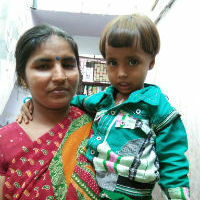 We are supporting one Balwadi, reaching out to 30 children (ages 3-5 years) and their parents. We are sponsoring their education aids, mid meals, and infrastructure requirements to run the education center. In addition, we also helped create a library by donating our books meant for early learning. Enabling Women to better their Lives through Functional Literacy: This program aims to provide functional literacy to the women and girls of Sarai Kale Khan Village, who have never been to school, or have dropped out of school. The 4-month curriculum adopts an Activity-based methodology, which equips an adult learner to read, write, and understand Hindi language and basic Arithmetic. The program provides them with a platform through various activities for enhancing self-confidence, communication, and developing a positive outlook. We will support one such program that covers 45 women for a period for 4 months. In addition, we are also looking at providing infrastructural support to their existing center by donating office equipment and furniture.